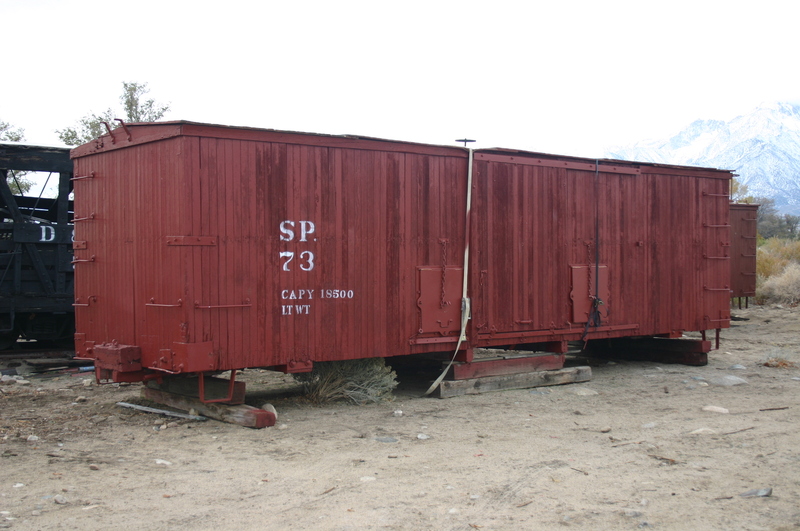 In 1957 the Southern Pacific converted 8 ordinary boxcars into perlite cars; numbers 9, 72,73,74,76, and 92 are documented to still be around the Owens Valley. These cars were essentially covered hopper cars to haul perlite from the loading facility at Elna to the standard gauge transfer at Owenyo. 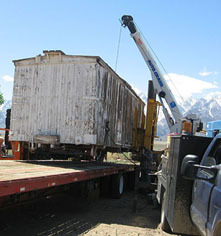 The Southern Pacific Narrow Gauge Historical Society decided that at least one must be saved and restored. 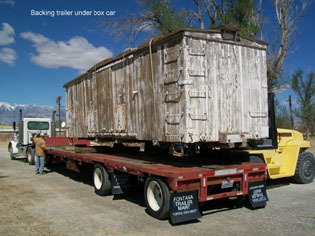 With the assistance of the CCRW car #73 was acquired and moved from a home just up the street from the Laws RR museum down to the Eastern California museum in Independence. 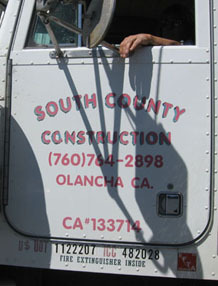 On a fine morning in the middle of May, 2009 these guys showed up to move #73. 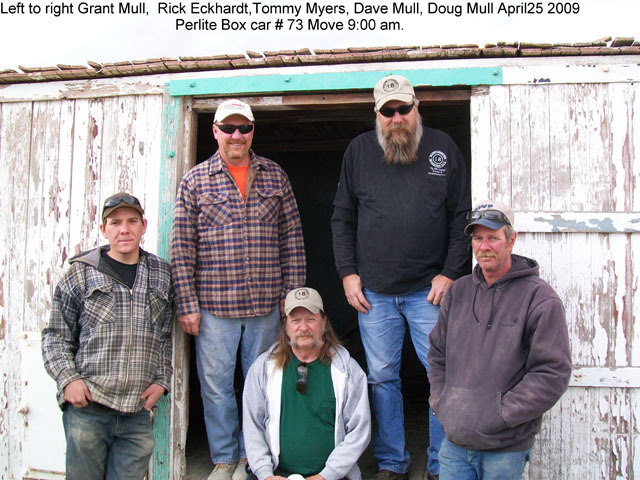 Within a couple hours the car was loaded and on its way to Independence on the back of Betty Dews trailer. 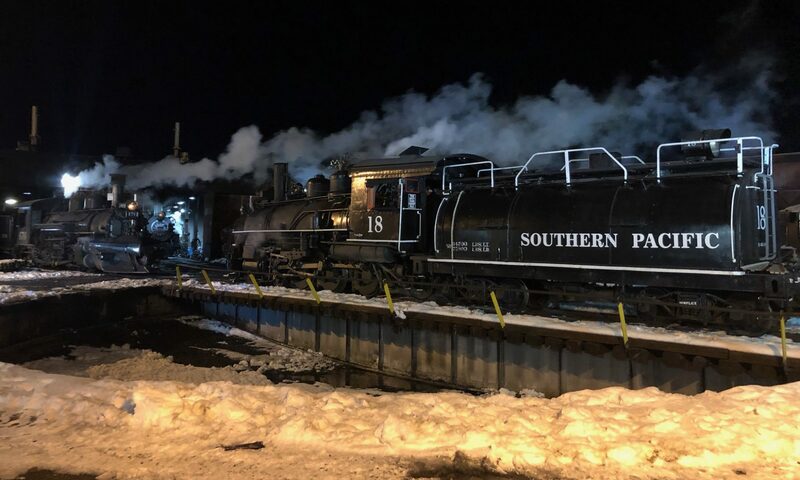 After unloading in Independence, #73 awaits its long deserved restoration. 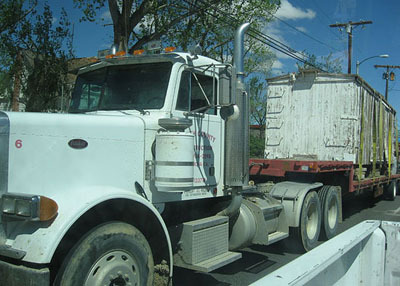 Since that day in 2009, the roof has been stabilized and a protective coat of paint has been applied. 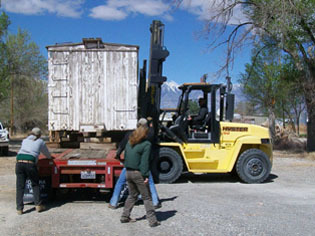 Currently the car is used for storage but may be restored in some manner in the future. 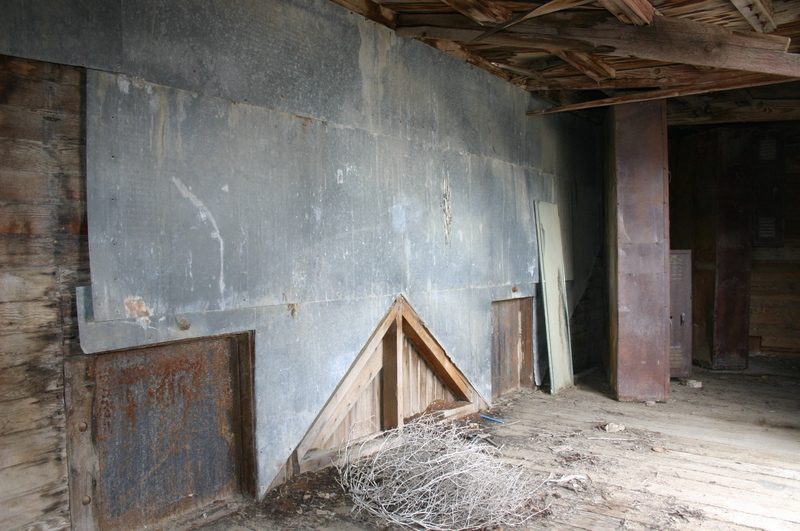 Interior of #73 showing the remains of the perlite interior. 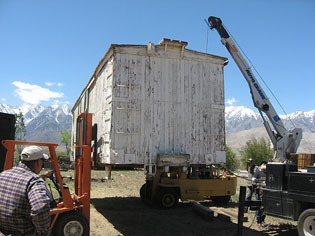 1961 Placed at Laws location as storage.